The word “night” has several connotations: 1. The period of from dusk until dawn 2. A dreary or difficult period of time 3. Absence of moral values 4. An evening set aside for a special purpose. For many NHL hockey players, the latter was an evening set aside to honour them for their contributions to their team’s success. One of the earliest tributes to an iconic puckster took place on March 17, 1934. It happened to be St. Patrick’s Day, so it was a very timely occasion for the wee Irishman — “King” Clancy. At centre ice in Maple Leaf Gardens, a giant shamrock was painted, with large letters spelling out the guest of honour’s name and number 7. The defining moment came when a float, in the form of a crown, was pulled onto the playing surface, with none other than the “King” himself, dressed in royal robe, on the “throne”. Underneath he was wearing a specially-designed green sweater, adorned with number seven on the back. He was presented with a silver cabinet, a silver tea service, a radio, and a grandfather’s clock. 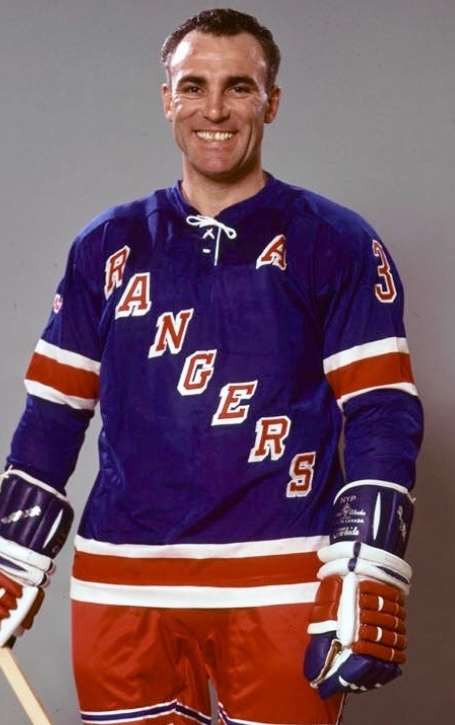 He wore the green garb in the first period, but the New York Rangers, the visiting team, objected, so he switched back to the blue and white for the duration of the match. It was eight years before another fan favourite would be feted in such fashion. Syd Howe, no relation to “Mr. Hockey”, was a steady performer for the Red Wings, who had skated for the original Ottawa Senators, the Philadelphia Quakers, the Toronto Maple Leafs and the St. Louis Eagles, before joining Detroit. It was said of him: “As goes Howe, so go the Wings”. His night of note took place in the Olympia on January 29, 1942. He was presented with a grand piano, paid for by a collection taken from the fans. He not only accepted it gladly, but tickled the full house by “tinkling the ivories”—first with “Boogie Woogie”, then with a more subdued “Rhapsody in Blue”—with deference to the shot by Jack Stewart from the blueline, which he tipped in. He celebrated by scoring both tallies in a 2-0 shutout over the Blackhawks. On February 12, 1947, Dit Clapper retired. That was the night he played his final game in the NHL. The team made it a memorable occasion. Not only was it paying tribute to the star who excelled both at forward and defense, but it was in recognition of his 20 years in the league—the first skater to reach that milestone. fans. It was announced that no Bruin would ever wear sweater number five again. In an unusual move, the other five teams in the league followed suit. In Detroit, Manager Jack Adams presented him with a silver bowl; Bill Gadby gave him an unloaded shotgun on behalf of the Blackhawks; in Montreal the team’s VP. D.C. Coleman handed him a silver tea service; and in Toronto, their choice of a present prompted a chuckle or two—a cocktail service for a non-drinker. There will never be another quite like Maurice “Rocket” Richard. The management, fans, and players connected with the Montreal Forum acknowledged that in a special manner on February 17, 1951. Regardless of how the Canadien’s superstar made his way to the game that night, he left driving a new Desoto, “equipped with everything but radar”, one journalist put it. This was but one of the many tokens of appreciation presented to the famous right-winger that evening. A radio, a refrigerator, a radio/phonograph combination, and a vacuum cleaner were some of the gifts showered on him and his wife—presents totalling $6000 in value. He marked the occasion by scoring the first goal of the game shortly before the first period ended—even though the team lost 2-1 to the Red Wings. A year and a month later, his centre on the famed “Punch Line”, Elmer Lach, was also given a “night”. His loot even exceeded that which the “Rocket” received. Between the second and third periods $11,000.00 worth of gifts went his way. “Everything from a car to a kitchen sink” was the way one observer saw it. The former was an Oldsmobile 88, and the latter was a house full of furniture. Token gifts like a cake, and a lifetime supply of razor blades were also included. A new row boat and golf clubs topped it all off. The “Original 6” era was especially dotted with favourite players being feted in this manner. While Boston’s Jack Crawford (1948); Johnny Bucyk (1968); Ted Green (1971); Phil Esposito (1987); and Ray Bourque (2001) received tribute that were well-deserved, March 18, 1952, was unique. On that occasion there was a combined presentation, with Milt Schmidt and Woody Dumart being the lucky recipients. Their combined gratuities were valued at $20,000.00. But the highlight of the evening was the return of their “Kraut Line” line-mate, Bobby Bauer, for a one-night stand. Schmidt tallied his 200th goal in that match; and Bauer also bulged the twine — then promptly went back into retirement. Earlier in that same season, on December 22nd, Toronto’s “Fabulous Fat Man”, Turk Broda, was given royal treatment by management and fans. 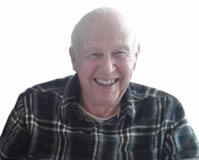 Having just retired, he appeared in street clothes with his family. He accepted gifts, including a grandfather’s clock, a chesterfield suit, and a watch, before stepping into a new Meteor sedan and driving off into the stands. As a gag, Manager Conn Smythe added a 6-week-old piglet, with reference to his boss’ running feud with his netminder over his constant overweight battles. It would be close to a sacrilege to overlook “the Big Fella” (as Jack Adams called Gordie Howe) in this list of paying tribute. And he was not forgotten. On March 3, 1959, in the home of the Red Wings, he was treated to an honour second to none. Reports were that he garnered more than $10,000 in gratuities. And the featured gift was a $5,200 Oldsmobile station wagon, which was driven onto the Olympia ice surface. As “Mr. Hockey” moved toward the vehicle to accept ownership, he was told there was someone inside who wished to speak to him. And out stepped Albert and Catherine Howe, his parents. They had been secretly flown in from Saskatoon earlier in the day. The tough-as-nails winger burst into tears when he saw them. In his acceptance speech he confessed he was so nervous he needed notes; and also asked understanding for his tears. He claimed it was the greatest day of his life since moving to Detroit. The amazing athlete experienced a couple of spins along the “night” theme. On May 31, 1971, Gordie was patronized by the City of Toronto and the Maple Leaf Hockey Club. It was on the occasion of his 43rd birthday, and the city had set the occasion aside as “Gordie Howe Day”. He visited the Council Chambers and was honoured by Toronto’s mayor. He made several public appearances and received gifts along the way. During intermission at the Toronto/Detroit game, captain Dave Keon presented him with a $500 engraved silver tray. One packing company sought to give him a cow — but the idea was nixed by the TV producers. As he reached another milestone birthday, the Hartford Whalers planned a huge birthday party to celebrate his 50th One March 29, 1978 several Hall of Fame players joined in this tribute during pre-game ceremonies. Included were Bobby Orr, Bobby Hull, Eddie Shore, Bill Gadsby, and Gump Worsley. A “roast” was held separately, sponsored by the Connecticut General Insurance Company. A special commemorative Gordie Howe Magazine was printed. No one was more deserving of a benefaction than Glenn Hall, who set a longevity record that will never be broken—502 consecutive games. On January 17, 1962, the Chicago Stadium was filled with banners playing tribute to his extended service between the pipes. It was “Mr. Goalie” night in the Windy City. Celebrating his 500th consecutive game without missing a beat, banners heralded this accomplishment with “MR. GOALIE — THE GREATEST OF THEM ALL”. He was handed the keys to a shiny new Chevrolet Impala, and a blank cheque to cover the import duty to transport it back to his Edmonton home. An impressive gold hockey stick added to the extravaganza. Unfortunately the Montreal Canadiens were not in a generous mood, firing seven pucks by him in a 7-2 loss. Another deserving puckster to be recognized by a “night” in his honour was the “Humble Giant”, Jean Beliveau. The Canadien’s All Star pivot’s gala celebration featured a unique twist. Instead of all the gratuities being heaped on the guest of honour, a special fund for underprivileged children was the highlighted feature of the evening. The final tally, displayed in a large mock cheque, was $155,855.00. The gentlemanly “Le Gros Bill” received a host of personal gifts as well. From his own club, there was a gold and silver mounted puck—the one with which he counted his 500th tally. The visiting Flyers gave him a silver tray. Tickets for Paris, the Olympics, and a Carribean vacation; and a rare wood carving of his likeness capped off the list. Bruce Gamble’s only pro hockey award came when he toiled for the WHL Vancouver Canucks. He was never an All Star or trophy winner in the NHL. But he was feted on April 1, 1972, the penultimate game of the Flyers that season. He was honoured with a “night” in his name. The most impressive gift was a Cadillac car. He was overwhelmed, commenting that he “couldn’t believe people could be so nice”. The recognition was probably in connection with his heart attack, which he incurred in February, while tending goal against Vancouver. He passed away as result of another attack in January of 1973. The most deserving of all, in my opinion, is the best NHL player of all time (in my opinion) — Robert Gordon Orr. Unfortunately his “night” took place after his retirement, when he was brought back to Boston, on the occasion of the raising of his number four sweater to the rafters. It was not during his heyday with the Bruins; nor while he attempted to stretch out his career in Chicago—but under circumstances which might be tagged as “awkward”. There was no new car; no gold hockey stick; no tickets to the Bahamas. In fact there were no gifts. The retirement of his jersey was the focus of the evening of January 26, 1979. Posters were everywhere, expressing appreciation for his contributions as a member of the Beantown crew. The applause seemed to last forever (one observer calculated 15 minutes). It was hard to get them stopped—even when Bobby tried to take the microphone. The chant of “BAW-BEE—BAW—BEE!” rose and fell over and over again. Orr was almost speechless, as, with tears running down his cheeks, he attempted to express his gratitude for the accolades which came his way. 1000 games in the NHL is no small accomplishment; and Maple Leaf defenseman, Borje Salming, who squelched the “Chicken Swede” affront better than anyone, was rewarded with special acclamation on February 27, 1988. He knew that the League was going to present him the milestone award. But he didn’t know that Harold Ballard had made two special arrangements for him. First, he was presented with a Chevy S-10 Blazer — complete with a Maple Leaf and number 21 emblazoned on it. And, as former teammate and friend, Inge Hammarstrom wheeled out to centre ice, his parents, brother and sister exited the vehicle. His teammates added a diamond ring; and the visiting St. Louis Blues presented him with a special trophy. Sadly, those same Blues walloped the hometown gang, 6-2! One other superstar was given special recognition that season, although Denis Potvin Night was not as widely publicized. On March 31 the 15-year All-Star rearguard was front and centre at the Nassau County Coliseum. The Islanders gave him a formal early farewell in acknowledgment of his announced retirement at the end of that campaign. At least three of these special occasions may raise questions concerning how deserving the recipients were. On October 27, 1962, Marcel Bonin, who spent most of his playing days with Les Habitants, was so honoured. He was hardly in the class of a Henri Richard. He was probably better known for his eccentricity. He once wrestled a bear, and was comfortable eating glass. His acceptance speech probably tells the tale: “I’m not used to being at centre ice — I’m more familiar to the corners.” That he was. Teppo Numminen will never make it to the Hall of Fame. It was often said of him “He is the best player nobody knows about!”. But on March 3, 2002, he played his 1000th contest as a member of the Winnipeg/Phoenix franchise. The organization honoured him, presenting him with a Rolex watch and a Wurlitzer jukebox. One season later enforcer Rob Ray was the next to have the red carpet rolled out for him, in Buffalo. Doubtless it was his contributions to special needs in the community which enabled him to make Buffalo’s honour roll. He was given a Rolex watch and a fishing boat. The familiar “We want Ray!” chant continually rained down from the seats during the night. One of the most unusual recognitions took place on November 30, 1999. Steve Chiasson died in a tragic car crash on May 3, 1999. The Raleigh Entertainment & Sports Arena (now known as PNC Arena) in Raleigh, North Carolina, was the scene of an honourary tribute to former Hurricane skater—a rare “night” given posthumously. His widow and three children attended the game against the Calgary Flames, his previous NHL sextet. Another 1999 extravaganza acknowledged the notable career of one who wore 99. Wayne Gretzky’s “night” actually involved an afternoon and evening. It was the occasion of his last game in the NHL. The highlight was probably the official announcement from President Gary Bettman that no player would ever wear number 99 in the circuit again. He proceeded to present him with game sheets from 30 of the 61 records that “The Great One” had set over the 20 seasons. His teammates gave him a 75” HD TV; and the finale was a shiny black Mercedes driven onto the ice with his father as a passenger. One of the most recent festivities of this kind was hosted by the Washington Capitals on November 23, 2002. Former captain Rod Langway was the recipient of gifts and well wishes. The winner of two Norris Trophies while he toured their bluelines as “Secretary of Defense” for 11 seasons, he was first honoured by the D.C. club when his number five sweater was retired November 26, 1997. The team owner, Ted Leonsis, presented him with cufflinks, while his teammates gave him with a Rolex watch. His wife Theresa, and baby daughter Mya, as well as his two older sons and a daughter were flown in for the occasion. This line-up of NHL’ers, favoured highly by their teams and fans, is not an exhaustive one. Space does not permit mention of evening accolades for Bill Mosienko, Frank Boucher, and Cliff Ronning, for instance. Still this cross-section of pucksters being given special recognition indicates that with all the league’s big business stances, and clamouring for the almighty dollar, somewhere beneath that crusty exterior — once in a while, there is a heartbeat!